Allows more flexibility around the kneecap. As the kneecap is free from compression, any tenderness or bruising that may be present will not be aggravated. Useful in the treatment of Chrondomalacia Patella and Osgood Schlatter’s disease. An adjustable Buttress is available for this product. 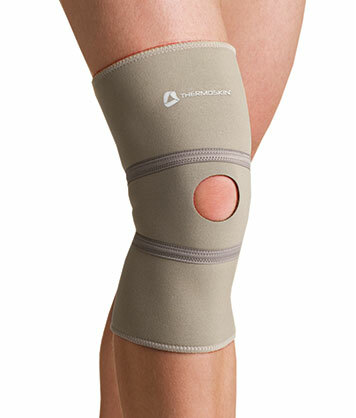 -Provides light but firm compression to counteract tissue swelling. This entry was posted on July 22, 2014 by webmaster.